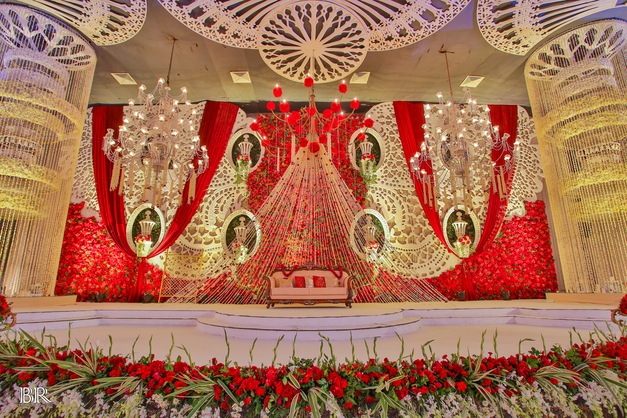 The most surreal wedding stages that will steal the show this wedding season! Every wedding has a story to tell… therefore the wedding setting should not look less than extraordinary. The key highlight of every wedding venue is the center stage. Undoubtedly, this area has all the eyes on it as the wedding couple is confined to be present at the stage for most of the time. 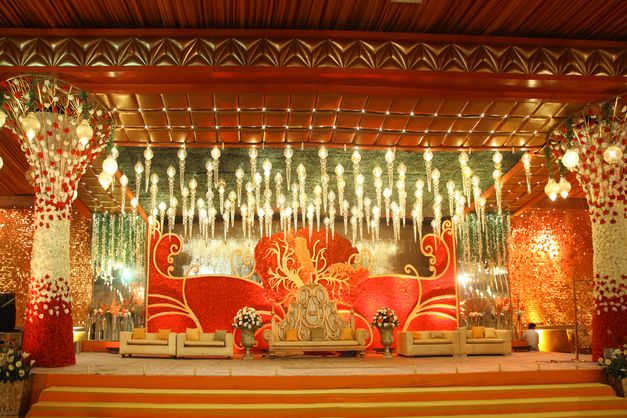 Because of this, the center stage is a part of most of the photographs of your wedding & wedding halls. 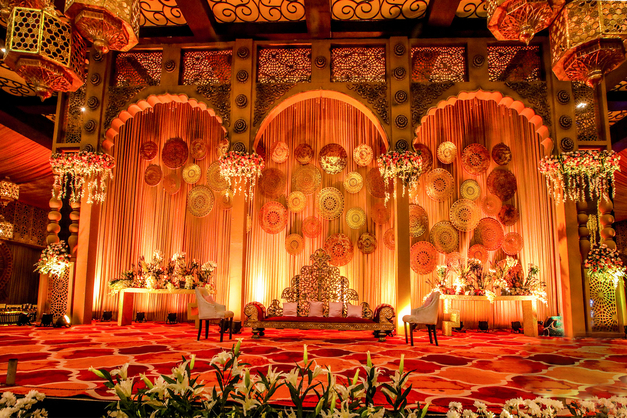 The center stage has the ability to create a long-lasting impression about your wedding in the minds of your guests, then you must pay special attention to this area. 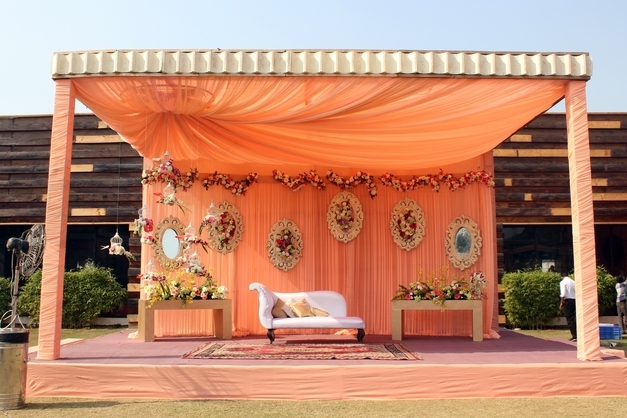 Traditional floral set up with mogra. 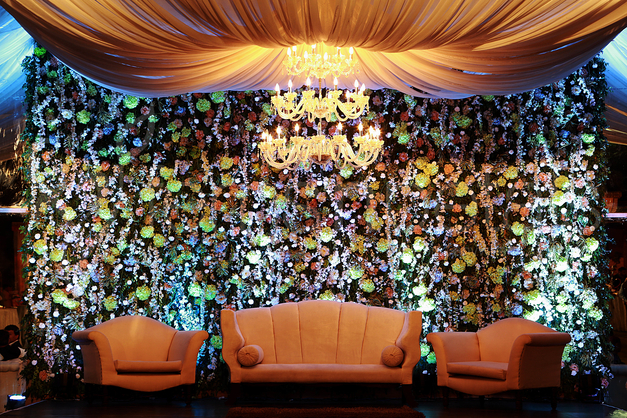 Surreal setting with floral backdrop, draping and an exquisite chandelier. 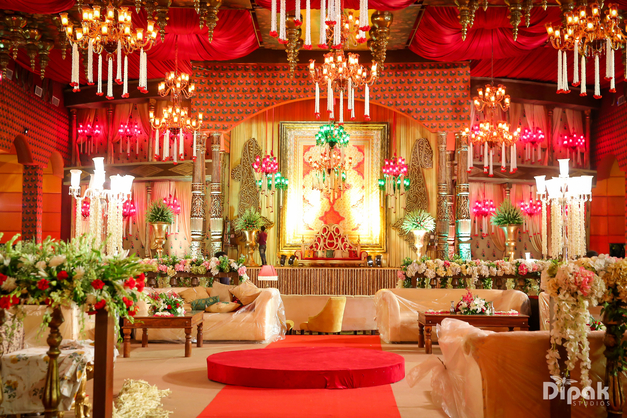 Royal setup with bold colors like red and gold… perfect for people looking for a regal ambiance. 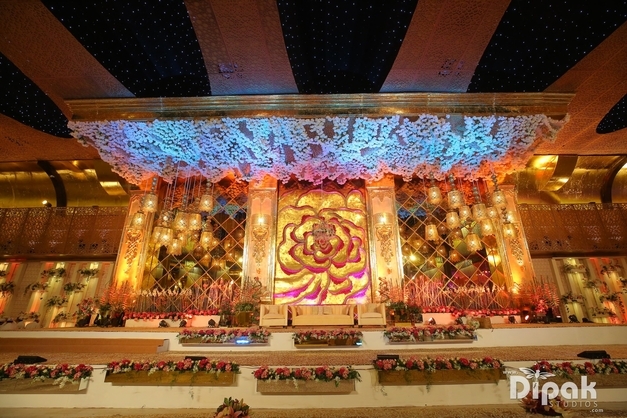 Contemporary stage to catch all the eyeballs adorned with all beautiful elements like florals, gold color and chandeliers. 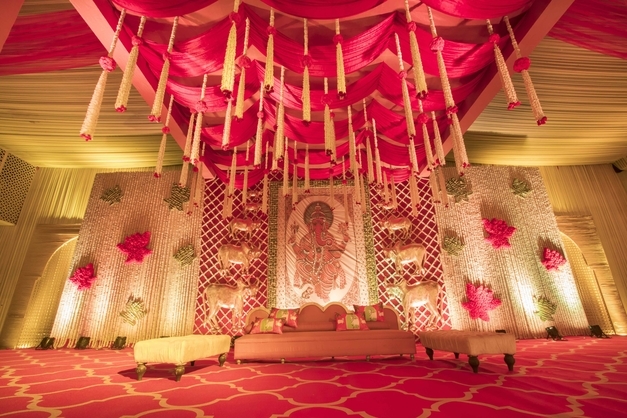 Bright setup with multiple lights and floral adornments. 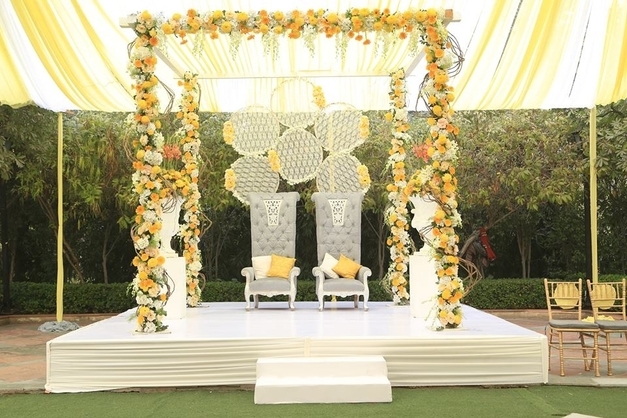 A total modern setup with bohemian elements with an amazing combination of yellow and white. The stunning backdrop and floral installations makes it look like perfect setup for a modern day wedding. Wedding is a one in a lifetime event therefore it should be remembered forever. So with these latest centre stage ideas, make sure you just add perfection to your dream wedding.